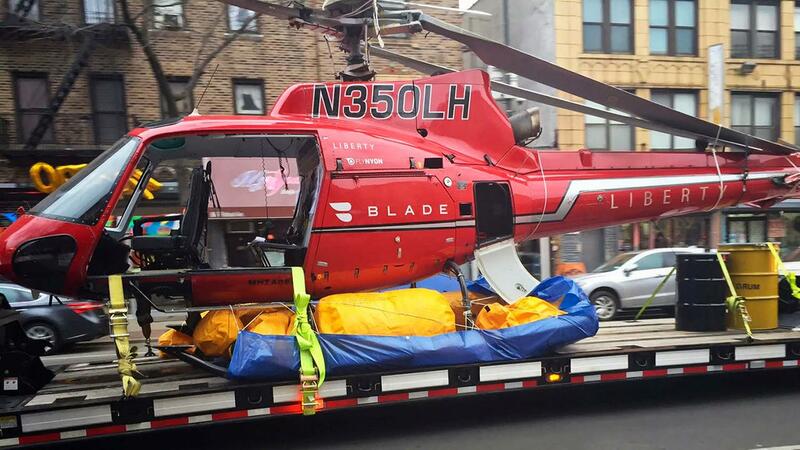 There was a helicopter crash that happened last Saturday night on the East River just off Manhattan. The crash was a tragic one as it accounted for five lives. The pilot of the helicopter was the only one who survived the crash. The eyewitnesses said that the red helicopter was flying a bit faster than the other normal helicopters that they see on the Manhattan skyline. The helicopter also had a fast descent. The eyewitnesses from high rise buildings and parks saw the helicopter, losing its altitude and taking a deep plunge into the water. The rotors of the helicopter stopped as it titled and capsized into the water. The sinking of the helicopter happened just after 7 pm. The pilot escaped from the accident and got on top of the wreckage to get help. The emergency boats and tugboats soon sprang into action looking for the others on board the helicopter. The emergency responders went into the water to find the missing passengers. They were on a harness and the rescuers had to cut off the harness to release them. All five passengers were dead with two of them declared dead at the scene and three dying in the local hospitals.